The 5/11 edition of homeowners form (HO3) changed coverage for items kept in a self storage facility. Prior editions of the homeowners policy had no special limitation for your personal property stored in an offsite self storage unit. There has been a limitation of 10% of your personal property limit on personal property held at a secondary residence. 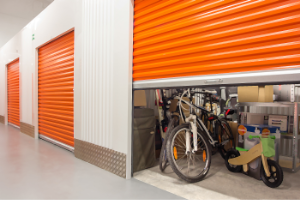 Since most homeowners do not actually live in the storage unit, this limitation did not apply. Coverage in storage units now has a similar limitation. The new form provides 10% of the personal property limit for items in storage. The following example can help you figure get an approximation of how much coverage you have if you know your approximate dwelling coverage. Your personal property limit will be 70% of the Dwelling Limit. This means that you will have $17,500 for items in storage. If this isn't enough, you can purchase an endorsement to provide additional coverage. Contact us if you have any questions.